mothers would cook, clean, and take care of the home. 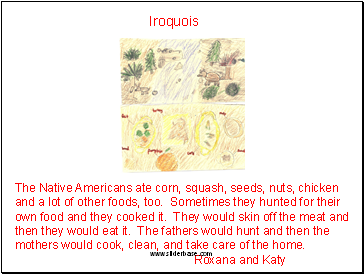 Iroquois men are known for building longhouses. 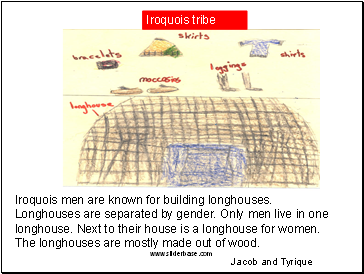 Longhouses are separated by gender. Only men live in one longhouse. Next to their house is a longhouse for women. 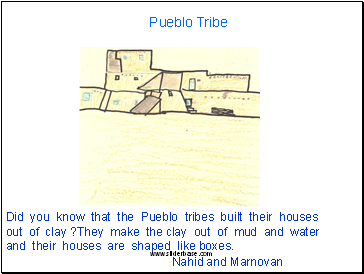 The longhouses are mostly made out of wood. A Nez Perce girl♥ is watching a man riding on a horse back to the village. The girl♥ is wearing a red shawl and a navy blue shirt. On her moccasins are little suns☻. The girl♥ collected the raspberries••• in a basket from the forest. She put the berries••• next to the fish and the longhouse. and their houses are shaped like boxes. 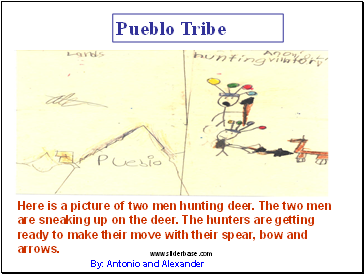 Here is a picture of two men hunting deer. The two men are sneaking up on the deer. 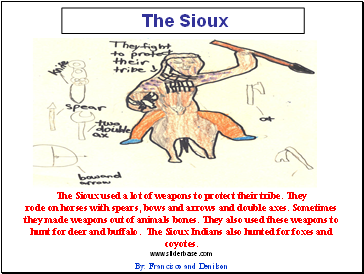 The hunters are getting ready to make their move with their spear, bow and arrows. 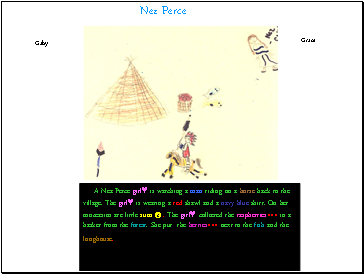 We drew a tepee because we wanted to show how the Sioux Indians lived. 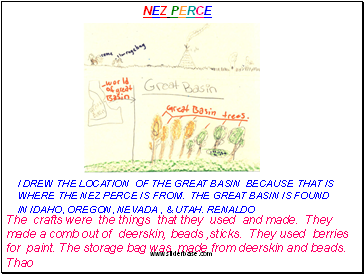 The teepees were made out of buffalo skin and or deer skin. 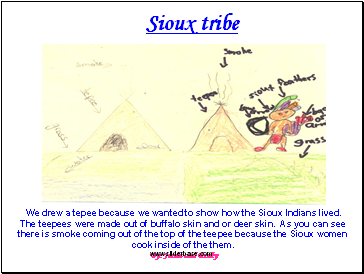 As you can see there is smoke coming out of the top of the teepee because the Sioux women cook inside of the them.